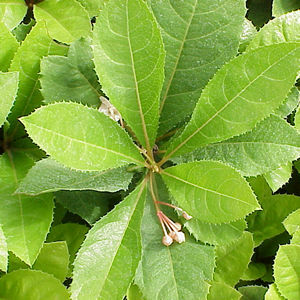 Ardisia japonica is native to China and Japan and is a low evergreen groundcover that spreads by underground rhizomes. It is grown in shaded areas and gets only 8 to 12 inches in height. Japanese Ardisia flowers on the stem tips in the fall with small white flowers followed by red fruit during the winter.